Here is a neat trick for people who use maps in Excel. In this blog, I will explain how to highlight map in excel based on a drop down selection. I have taken an editable map of the US. 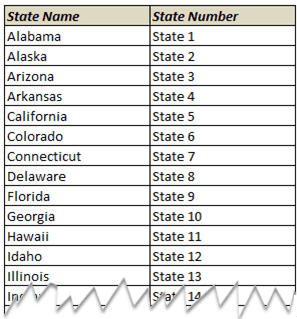 The idea is to highlight a state in the US when its name is selected from a drop down. Now before I show you the code, here are a few prerequisites for this trick. Name each shape on the map. For example, I have 50 shapes here for 50 states, and I have named each Shape as State 1, State 2, State 3, and so on..To do this, select any shape, and go to the Name Box, which is on the left of formula bar, and enter its name from the State Number column. For example, I selected Alabama and named it State 1. 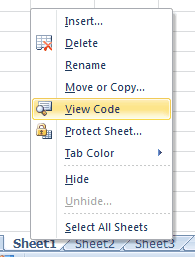 First, right-click on the sheet tab that has the map and select “View Code”. This will open the VB editor. Hello sumit! Would you please tell something about Excel VBA? I mean what language VBA communicates in and how can one learn this language to mould the excel work according to one’s desires. How would you go about modifying the code to allow multiple states to be selected and highlighted on the map? For example if cells B2, B3, and B4 allowed user input and had Alabama, Alaska, and Arkansas with shape lookups in cells C2, C3, and C4, respectively, how would the code be expanded to include multiple input cells and highlight the multiple corresponding shapes?